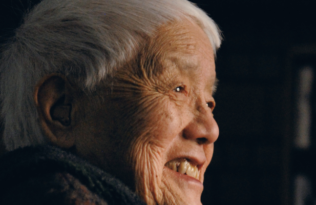 The legendary civil rights activist, writer, and organizer Grace Lee Boggs was the subject of a recent multimedia profile in The Nation. The feature included a podcast interview, a video from her panel at the Brecht Forum, and an excerpt from her new book, written with Scott Kurashige, The Next American Revolution. Boggs describes her rich history of involvement with this country’s major social movements, and sets forward her vision for a new form of activism in the twenty-first century. Boggs and Kurashige were also hosted by the Michael Eric Dyson Show this week. In the interview (which begins at minute 13:50), they spoke about societal change and what is needed in today’s social justice movements. Watch the video from the Brecht Forum below, and read the book’s first chapter on our website.